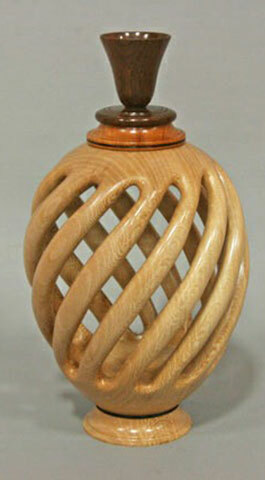 Jim Duxbury, woodturner and inventor, is the kind of guy who thinks and creates “out of the box.” His turnings are unique and he seldom turns the same thing twice. Born in Cleveland, Ohio, he now resides in Graham North Carolina. With the help of his wife, Rita and inspiration from his pet parrotlet, “Bean” creativity abounds in his studio. Constantly improving and solving problems to make his skills more efficient and functional, he enjoys teaching others the craft of woodturning, woodworking, and kaleidoscope construction. 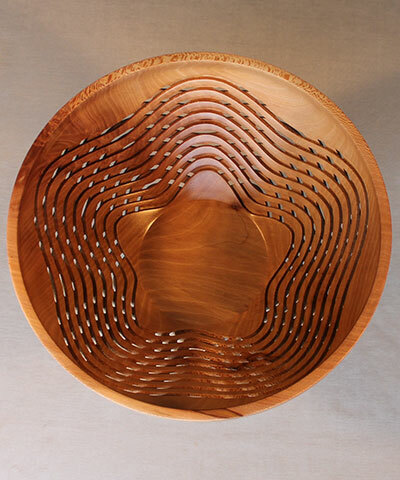 He prides himself in creating wooden items of beauty that also are designed to function well. 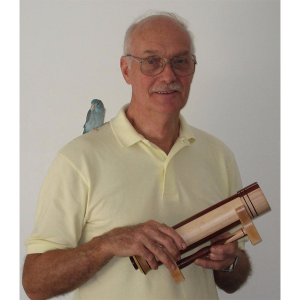 His fascination with wood and wood grains, from the most exotic to the common native varieties, and with the ability to employ the wood lathe and adapt tools, all lead to experiments of new and exciting ideas. 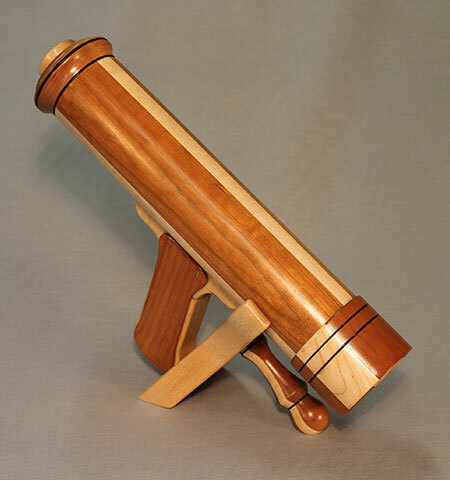 Jim’s kaleidoscopes are a signature item, custom designed, and the recipient of numerous awards. Each of his handcrafted kaleidoscope designs are made from carefully selected wood with custom object boxes, making these instruments a fascination and one-of-a-kind experience both inside and out. 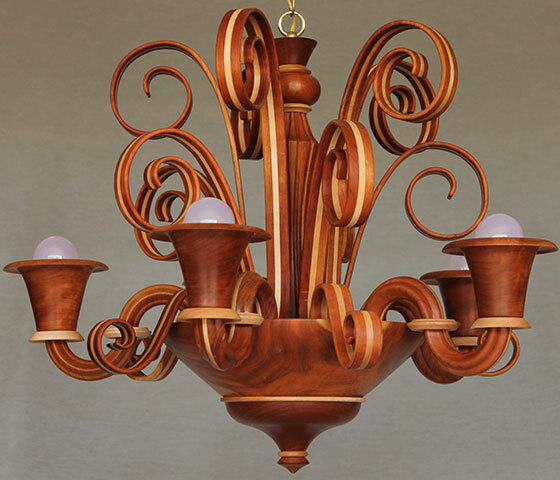 His unique designs and plans are sought after by woodturners, kaleidoscope collectors, and those with a fascination for the beauty and simplicity of a kaleidoscope. Although Jim quit working in 1996 and claims to be retired, he has since obtained two U. S. Patents. The inventor of particulate dust respirators, his company, DUXTERITY LLC, markets the Resp-O-Rator™ and Elegant Creations, his gallery of fine wooden objects. A Massachusetts native, Rita now resides in Graham, North Carolina. With 40+ years as an educator coupled with 21 years as a US Navy Reserve Intelligence Officer, Rita has traveled the world, always ready for a new adventure. 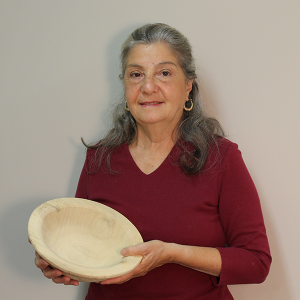 With an interest in woodturning, a keen appreciation for the beauty and qualities of wood, and with the mentoring of her husband, Jim, she has advanced from sweeping sawdust to creating her own unique wooden pieces. 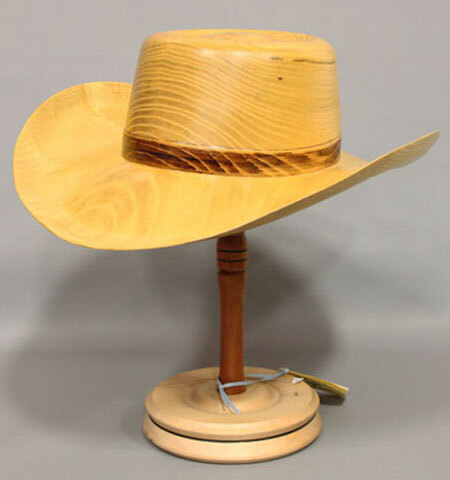 Rita and Jim team up to present demonstrations at woodturning clubs, symposiums and workshops throughout the country in addition to marketing of the Resp-O-Rator™.